LOVE LOVE your lockers! Exactly what “pattern etc” did you pick…so many choices on that website. Thank you for including your reference though. High quality bronze colour powder coated decorative metal grille. What color paint did you use on your lockers? Hi there. It is the same as my interior doors. SW Urbane Bronze. It can look VERY different outside versus inside. Some people call it a brown. 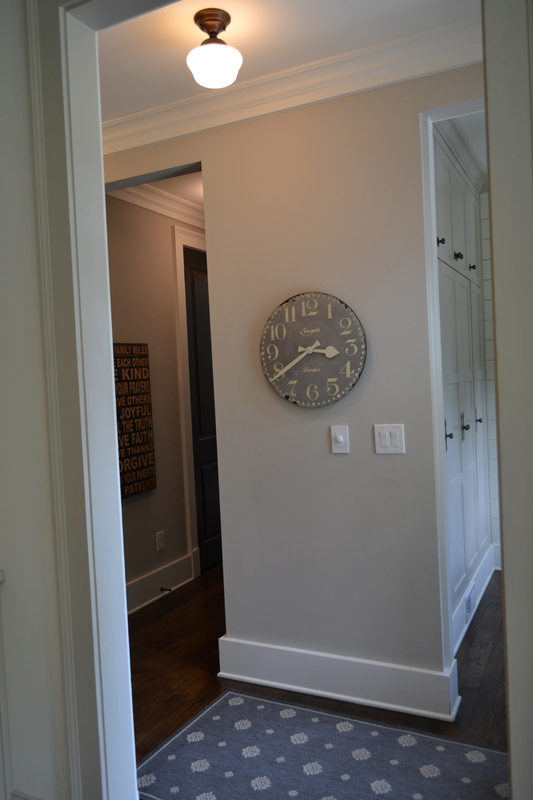 I wanted an interior door that looked black but wasn’t as harsh as black. Instead of mixing in a new color, I kept it the same on the lockers because there are several doors around it. I am glad you like it! on November 15, 2015 at 3:43 pm | Reply Lin S.
Hello, what is the drink fridge that you purchased? I am looking for the same thing but don’t know whether to spend on this- you see some that are less than $500, and then they jump to the thousands range. Hi there. It is a GE Monogram beverage center. It has two lower racks for wine and the rest is just for beverages or anything refrigerated really. 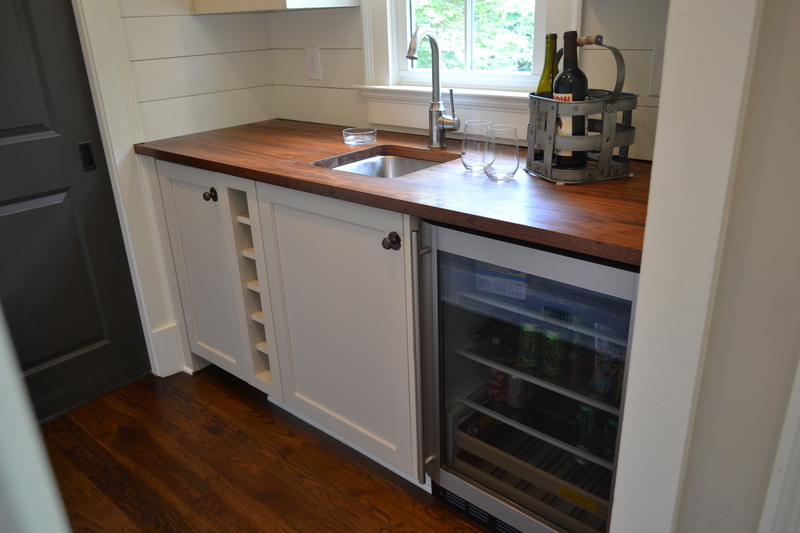 Undercounter/built-in beverage centers have front venting which is designed for built-in use. I am sure you could use a stand alone unit but it is possible it could overheat if it is enclosed in such a way that it cannot be properly vented. The lockers are SW Urbane Bronze. The doors are the best part about them! Hi! 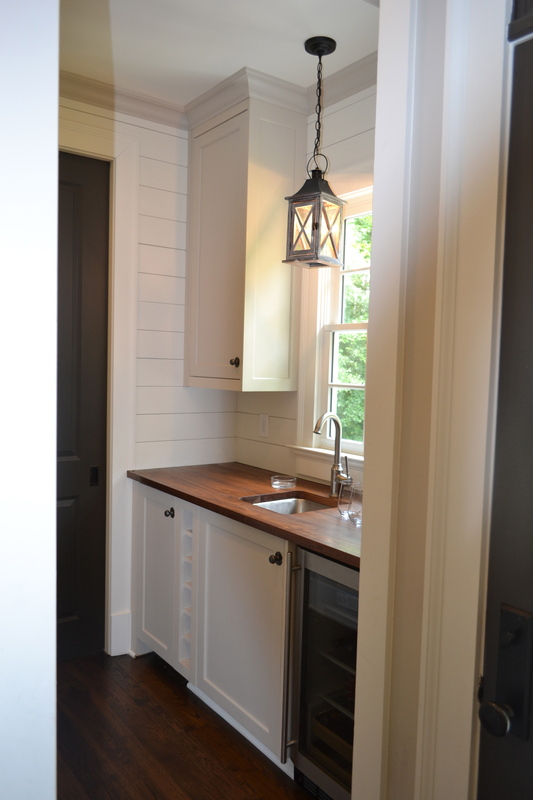 What color paint did you use in the lockers and on the wall of the mud room? Thanks! Hi there. The lockers are painted SW Urbane Bronze and walls are BM Revere Pewter. Hello! 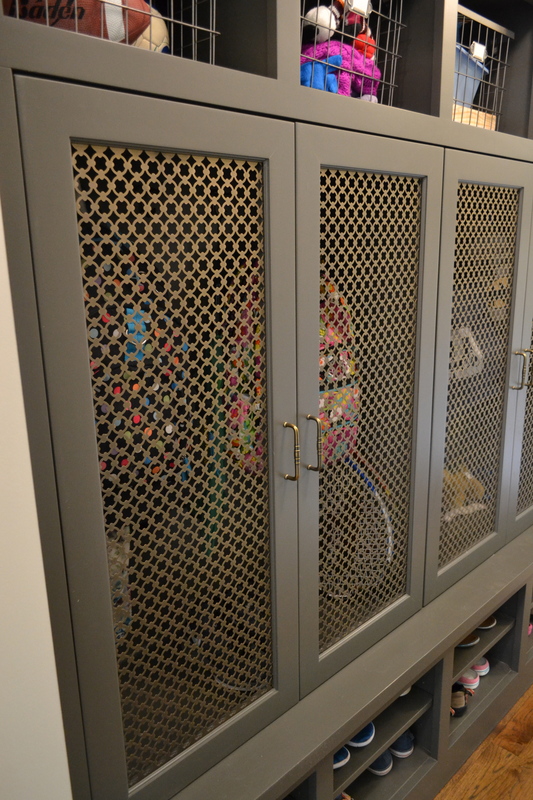 Love the locker picture, and it’s been invaluable to me as i’ve been searching for decorative door grilles!! Can I ask what hardware you have? I’m looking for something similar. Thanks! I used Top Knobs for those I believe. Hello! Love this design!! 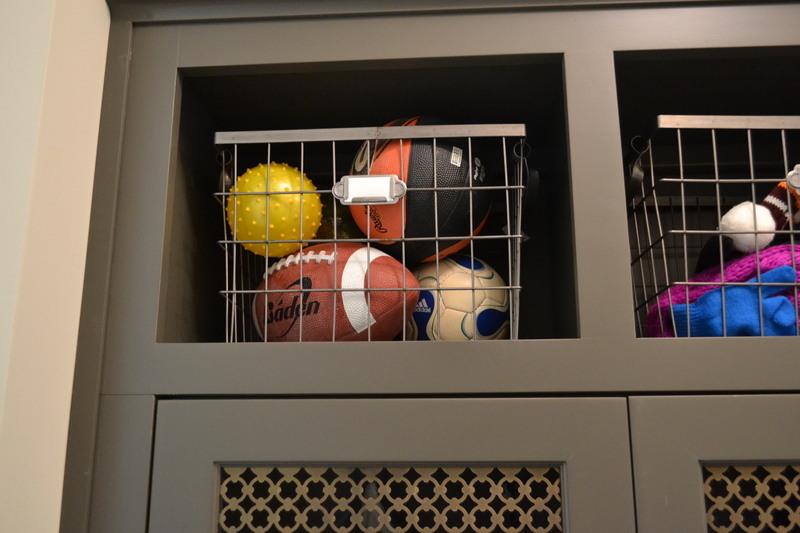 Can you share the source of the locker cabinet hardware? I’m looking for something similar. Thanks! Top Knobs is where we got a lot of the hardware. Thank you! Love it. Where did you get the baskets from? I was wondering if you could tell me which pattern you used on your locker doors. I am ordering some for our lockers and wanted the same ones you have. It’s hard when you look on the website because the pattern you see is such a small picture. So creative and such a functional piece!! Great for you guys! I thinks it’s so fantastically modern for a family!! Would you mind telling me the depth and width of each section? 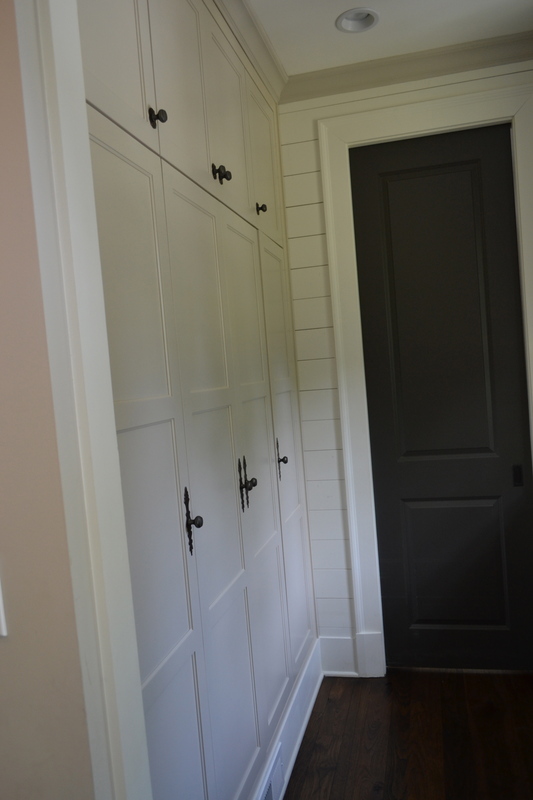 We’re looking at creating the same look for our mudroom closet. Is the metal finish of your mesh bronze? I love the contrast of the paint color with the metal! Love your home! Yes. It is a flat, bronze color.